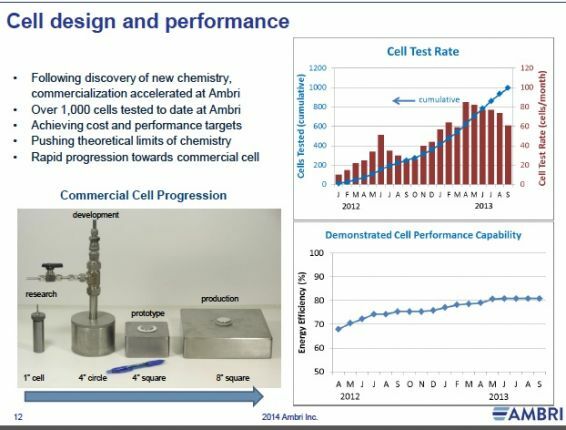 David Bradwell, the CTO, co-founder and SVP of liquid-metal battery startup Ambri, spoke on Thursday at Infocast's Energy Storage Week. We've covered the Ambri story in detail. The inventor of the core technology for the battery is Don Sadoway, MIT professor of materials chemistry, with technology inspired by the economy-of-scale of modern electrometallurgy and the aluminum smelter. 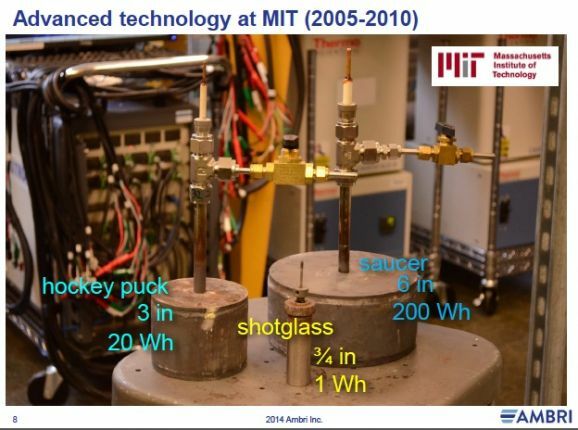 Sadoway used seed money from within MIT to invent the liquid metal battery, using a technology called Reversible Ambipolar Electrolysis. 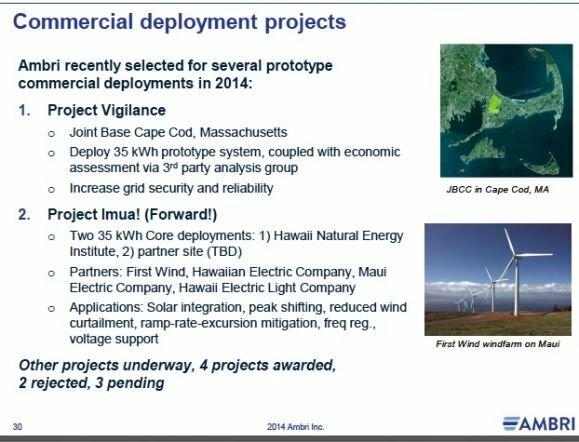 Bradwell said a grid-scale battery needs to be resilient, safe and low-cost. 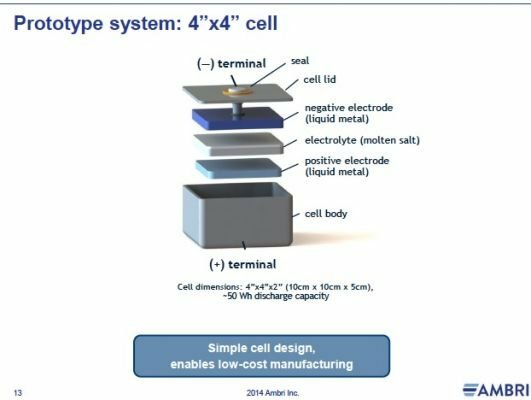 The three layers in the Ambri battery are self-segregating, cheap to manufacture and earth-abundant. 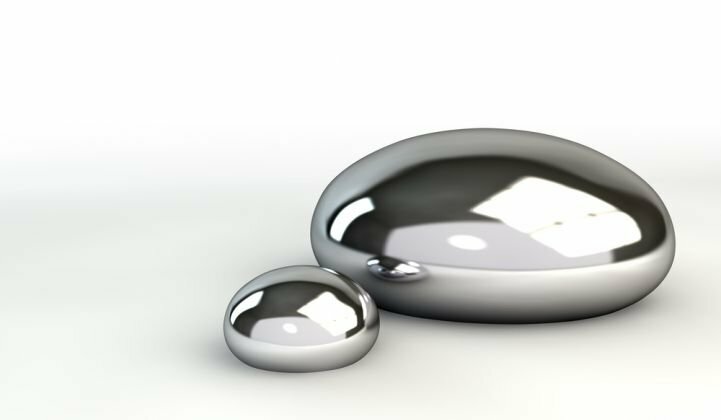 The materials used in the original design were magnesium and antimony separated by a salt -- but "we needed higher voltage and lower temperature," said the CTO, and so the firm has a new, undisclosed chemistry arrived at with the help of ARPA-E funding. 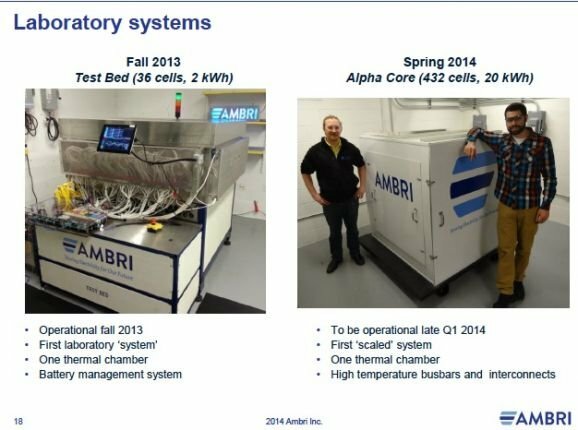 Bradwell noted that all manufacturing processes and robotic cell assembly had to be developed by Ambri. He claims a lower manufacturing cost and lower employee-per-square-foot-of-factory ratio than that of lithium-ion battery technology. The CTO also suggested that Ambri's pricing will fall between pumped hydro and CAES. 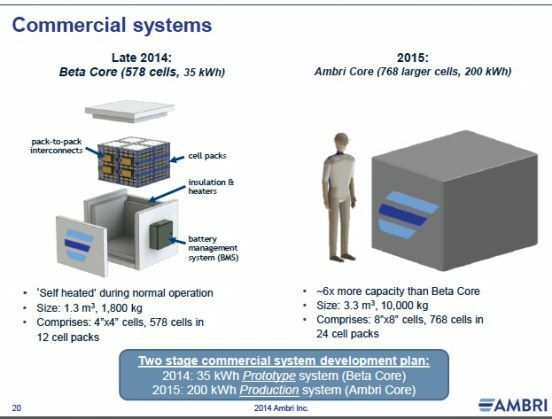 In an earlier presentation at this event, Tad Glauthier, VP at storage system vendor Stem, cited Ambri and Aquion as new battery vendors with potential price-competitiveness. 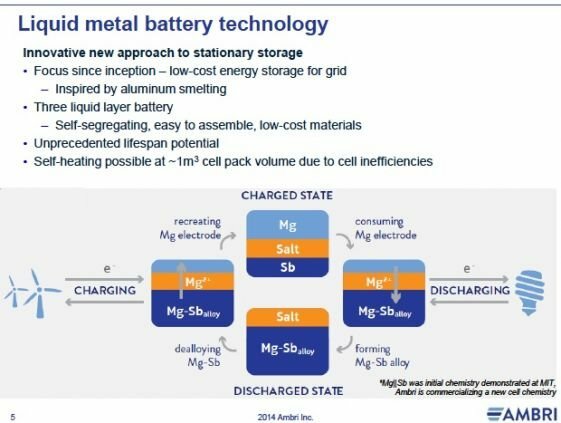 He noted that improvements in lithium-ion technology are small and incremental, while changes in battery technologies' price points have the potential to change the size of the market. 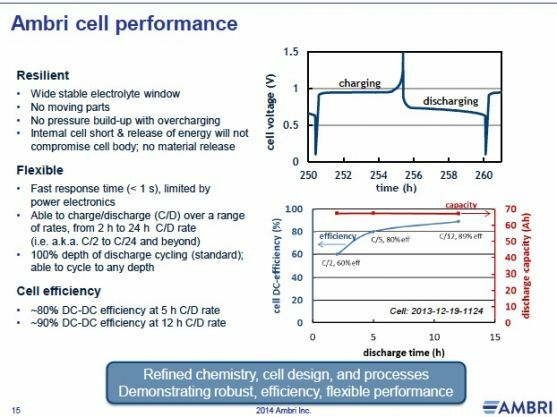 Glauthier sees near-term battery price reductions reaching one-half to one-third of lithium-ion, falling to sub-$100 per kilowatt-hour levels before 2020.